This impact on the struggling middle class and the poor is a compelling reason for the recognition of climate change and its consequences to be driven from the mainstream of society, not the top. Those at the top, such as large corporations and national politicians, are not poor, weak or lacking in options to avoid doing what needs to be done. Following Hurricane Katrina, wealthy residents had very little lag time in rebuilding homes or simply moving to another of their multiple domiciles. They didn’t have to wait on the Road Home money — much of which evaporated along This impact on the struggling middle class and the poor is a compelling reason for the recognition of climate change and its consequences to be driven from the mainstream of society, not the top. with Katrina’s floodwaters. The idea that the poor don’t care or think about the environment is a misconception. Poor people may not live in the Garden of Eden, but the environment is generic, and the one they deal with daily is the same everyone else does, but perhaps a bit harsher. Sea level rise and hotter temperatures will affect a favela in Rio, where people live in shacks under corrugated tin roofs, as much as those enjoying a martini at a yacht club on Narragansett Bay where the central air conditioning is a gentle breeze off the bay. Yes, one can debate who will notice those rising temperatures first. 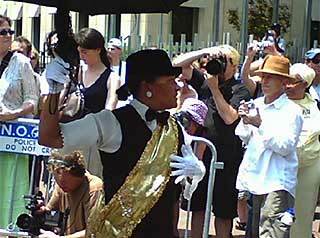 There are matters of the degree of humidity combined with temperature as well The funeral of Treme Brass Band drummer 'Uncle' Lionel Batiste in New Orleans on July 20, 2013 - first jazz funeral held in the city following Hurricane Katrina. Photo Credit: J. 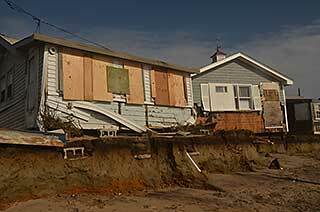 Swift Superstorm Sandy caused extensive damage to buildings and infrastructure along Rhode Island’s shores, destroying many beachside cottages used by vacationing local families for generations. Photo Credit: RI Sea Grant as what one is accustomed to, but a rising global temperature will impact everyone. 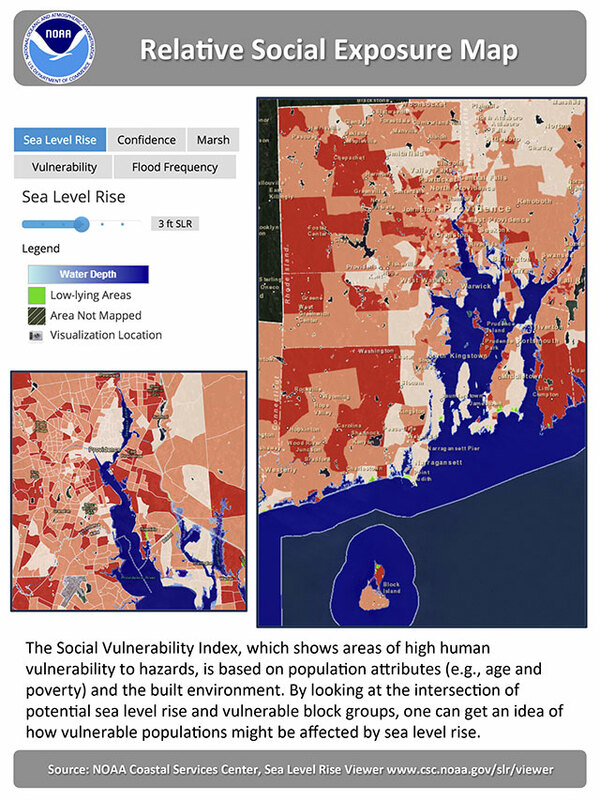 The fact that people may already be vulnerable to poverty, lack of education, disability, housing or aging means that they will feel the impacts of weather, economic demands and a geographically shifting community even more than people who have means, an education, their health — or at least access to excellent health care — a good job and secure mobility. And as people continue to migrate towards the coastal areas, which will soon contain over two-thirds of the world’s population, they are heading into the main arena of this fight, virtually unarmed. Now let’s not just say: “Well, it’s their own fault if they move there.” People have always lived in disaster hot zones, e.g., Tornado Alley, on the sides of mountains adjacent to forest fire zones, tucked in by the San Andreas Fault, or in the heartland where the Dust Bowl ruled. The earth was not designed to discount natural phenomena and these events are being exacerbated by global warming. As the most vulnerable are impacted, their circumstances will impact the economy as well as the soul of the nation. Like it or not, we are our brother’s keepers by desire or demand. For an interactive version of this map visit the NOAA Coastal Services Center, Sea Level Rise Viewer. Major storms, like Superstorm Sandy, can have significant impacts on large populations. Get prepared for such emergencies by having a list of important phone numbers for emergency assistance, such as your local emergency services and Red Cross. On average, the cost of hotter summers exceeds the gain from warmer winters by 2 to 3 percent of income per year. Approximately 175 million children will be affected by climate change induced natural disasters every year over the next decade.